Canada undoubtedly has a vibrant party scene; Montreal outperforms other cities in music and nightlife, with Toronto and Vancouver close on its heels. Bars and nightclubs drum up an annual revenue of $3 billion with pressures mounting on bar and club owners to diversify within the industry. Rising alcohol prices and a cautious societal attitude towards driving under the influence has resulted in a strong increase of Canadians opting to drink at home, which has had a large blow on the nightclub industry. Fierce competition from restaurants and other entertainment businesses that sell alcohol are also negatively affecting the nightclub sector. This is causing many bars and clubs to revaluate their USP; offering niche services or hosting unique events to attract new and old customers. Whether you decide to open an organic wine bar offering tasting events, or a cocktail lounge hosting a masterclass on how to make the perfect mojito, you should find a niche you’re passionate about, promote it and own it. There is a large trend supporting local brewers and distilleries as increasing numbers of microbreweries sprout up across the country. Location is one factor you are unable to change, so consider this thoroughly when looking at nightclubs for sale. Buying a club in a prime, central location will be your best investment. Not only does the physical location of the club play a large role, you must also be aware of competitors in the same area. At the moment the trend sits with nightclubs off the tourist maps – however, building this underground reputation is a challenging marketing direction. So, if you can find a nightclub in an up-and-coming area, you could save a lot of money on the initial outlay of your business, and you will be able to work towards a decent profit should your due diligence reveal that this area will be hot for the nightclub scene. Therefore, be clear on what type of customers your nightclub will rely on; will it be seasonal trade, tourist-heavy punters or to attract the locals? The size of the business is another factor that is difficult to change, make sure you utilise the space of the club and consider certain aspects such as the acoustics, adequate dancefloor space, crowd control and ventilation. A large premises will have larger overheads; however, the business will have a higher capacity, maximising your drink and ticket sales should you be able to sell your club nights. Also consider what type of license the club has; each state will have different rules on licensing and insurance requirements. If you’re planning on buying a business that isn’t currently operating as a bar or nightclub, determine whether you can get a liquor and late-night licence. In your application, the council will also expect to see plans on how you intend to control noise, crowds and littering. If you’re buying an existing bar or nightclub, you should be very thorough with your research into whether the business opportunity will suit your plans and skill set. Remember, this is a relatively unsteady market that is competing with a constantly changing demand to what customers want from nightclubs. Consider what type of relationship and reputation the club has within the industry. You are going to need to rely on strong, solid relationships with music promoters, DJs, security companies and alcohol suppliers to make sure the events you put on run smoothly. Determine what fixtures and fittings are included with the business sale and what condition they are in. Does the style and décor suit the type of club you intend to own? 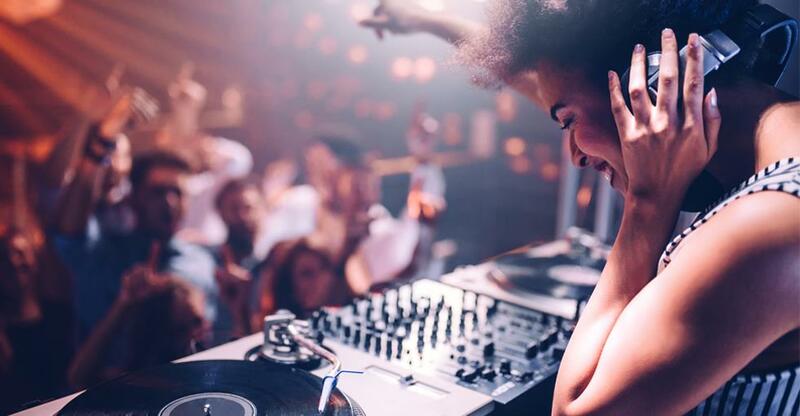 Renovating and refurbishing a nightclub can be a hefty cost; factor these expenditures into your total budget before you make an offer on any business. Also determine whether any stock will be sold with the business. Find out how the current employees and management team work together; will you be bringing in your own team, keeping the current talent or starting from scratch? Finding and training proficient and loyal staff is a huge obstacle within the sector, with many employees reluctant to work long night shifts and on weekends. If the business you’re looking to buy has good bar staff that are willing to adapt to your management style, you should consider them as a valuable asset.